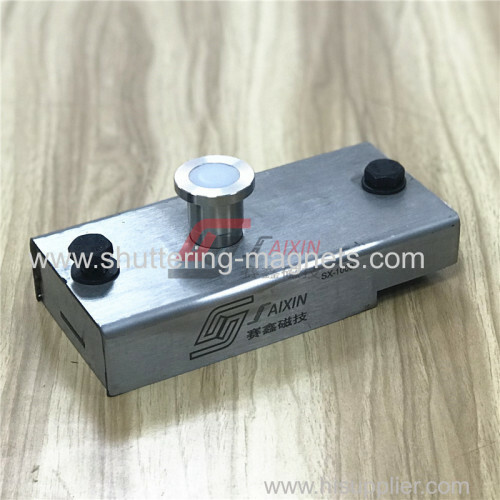 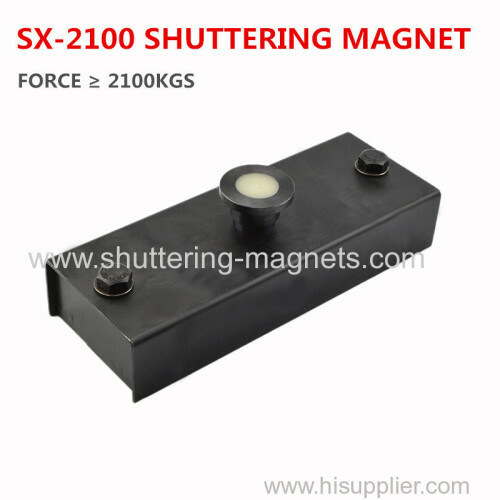 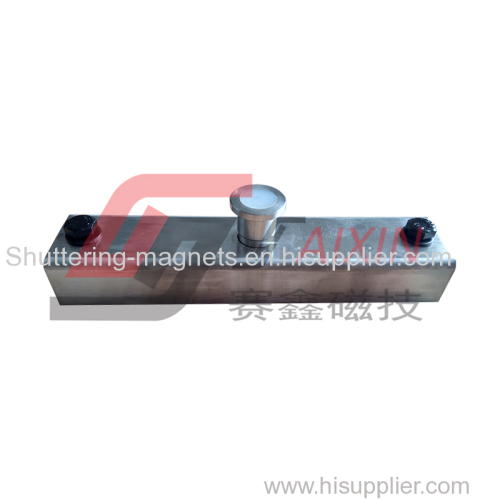 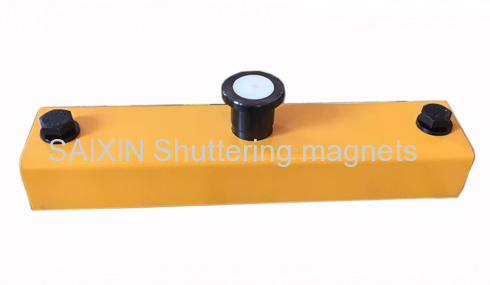 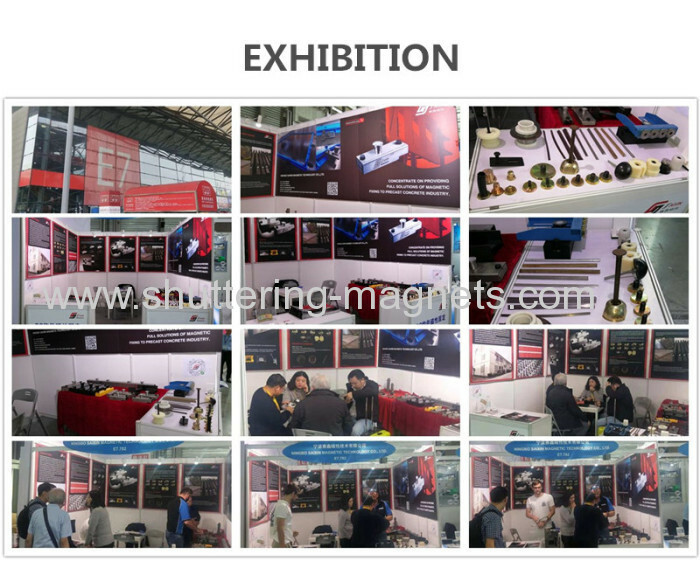 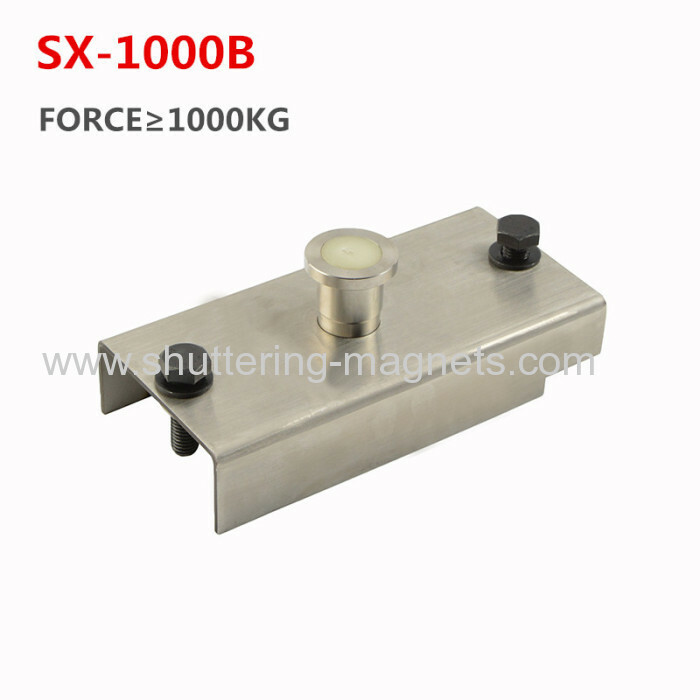 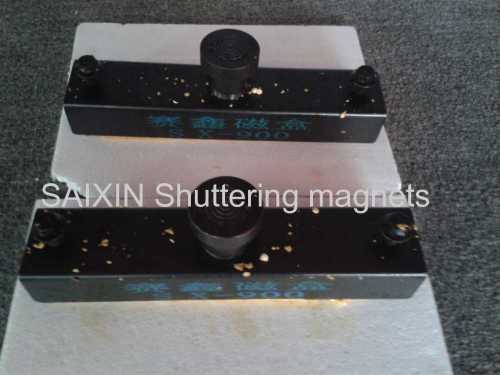 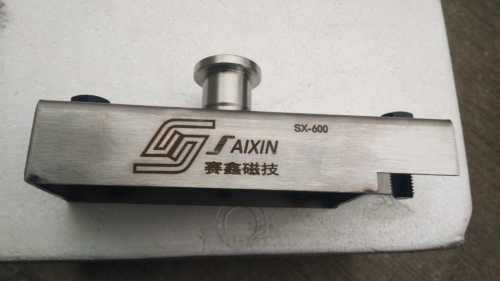 SAIXIN brand SX-1000B magnet box has 1000KGS above adhesive force,you can use the screws to fix the adapter and then we can put it onto the side form. 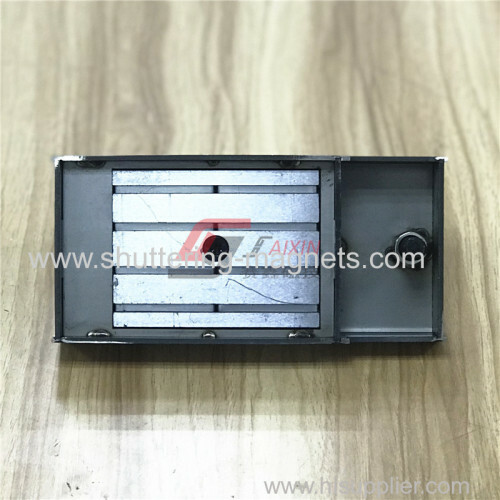 According to the domestic some side formwork rebar stick out, it require the magnet box size can't be too wide, our company carefully designed a SX - 1000B side formwork fixed magnet box, the magnet box external dimension is 20X9.5X4CM,suction can reach more than 1000 kilograms.Considering domestic construction site environment is bad at the same time, the concrete grout easy corrosion the magnet box,then effect the switch flexible degree, we use new stainless iron material, not only solves the problems of corrosion protection, also ensures that the magnetic closure effect,at the same time to ensure use safely. 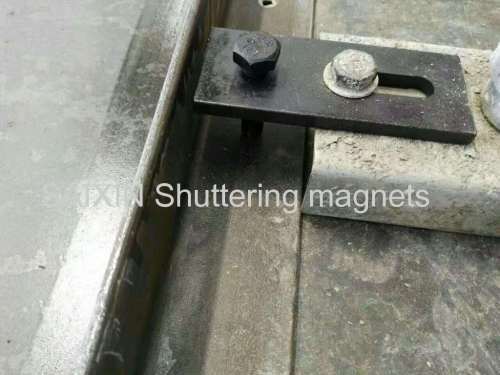 As for the magnet box is used for precast concrete production line, it requires the box surface has high grade rust resistant capability, so that we are using the stainless steel for the cover box.Meanwhile, the inside parts of the cover box are iron material, it still attract magnet block back when we pull the button up. The adhesive force 1000KGS is enough to fix most sideform, from 60mm to 200mmm height,even on vibration platform. 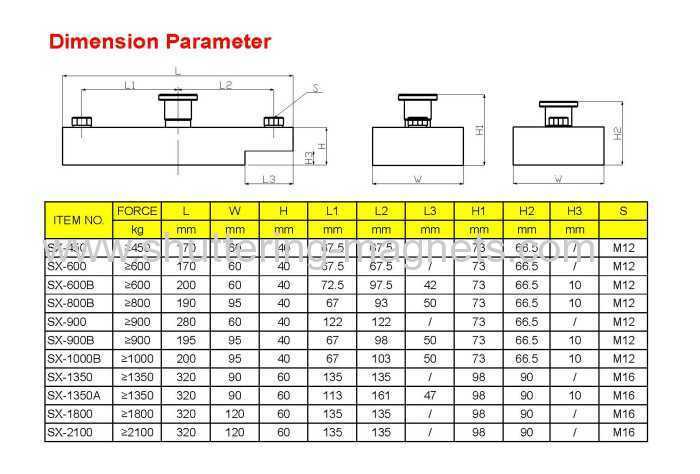 Also the size 200X95X40mm will not occupy much room on the platform.